While in the field, War Child’s staff works to empower children in areas affected by armed conflict; internally, we work to empower our staff in their roles within War Child. We work as much as possible with local staff in our country programmes, particularly when the necessary skills and knowledge are available locally and where filling certain positions with local staff does not present a security risk. 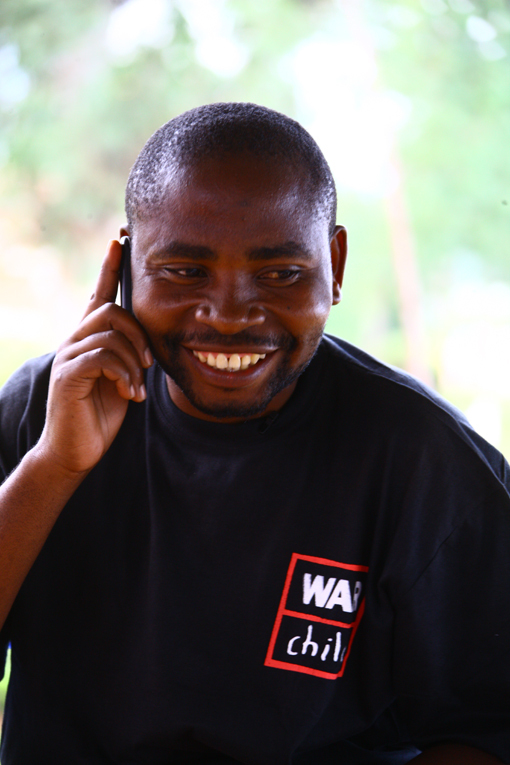 In 2013, War Child employed staff from 15 different nationalities in our country programmes. Senior positions were filled by 14 local employees and 32 expatriates, of which 38 percent was male. On average, senior staff members remain in their positions over a period of 3.8 years. In total we employed 327 employees in our country programmes in 2013. War Child employs 77 full time equivalent (FTE) positions in our head office in Amsterdam. On average, staff working in Amsterdam remains with War Child for 3.9 years. In 2013, head office staff had an average age of 39, consisted of 34 percent men and 66 percent women and included 7 different nationalities. Staff turnover at head office was 23 percent, for expatriates at country management positions it was 60 percent. This high turnover rate in 2013 had many different reasons. Employees who had been with War Child for a long time sought new challenges elsewhere, and the dynamic nature of our country programmes resulted in the annulment of some positions. In addition, a number of temporary contracts were not prolonged due to budget constraints and a few employees left the organisation due to underperformance or personal reasons. The high percentage of employees new to the organisation initially hindered collaboration and relations between the different parts of the organisation, but was addressed by organising introduction sessions for new staff and an inspiration day. Departments and teams also increased their focus on briefing, integrating and managing new employees, although this issue will still need attention in 2014. To balance the high turnover rate, War Child was able to offer 17 percent of our in-country staff new positions in other countries, compared to only 11 percent in 2012, which has proven an effective method of retaining talent and expertise within the organisation. In 2013, War Child met its target for absences due to illness at 4 percent, a decrease from 6 percent in 2012. Some long-term illnesses cannot be resolved, but are being monitored well, and the short-term illness that occurred was not related to demotivation or lack of management.